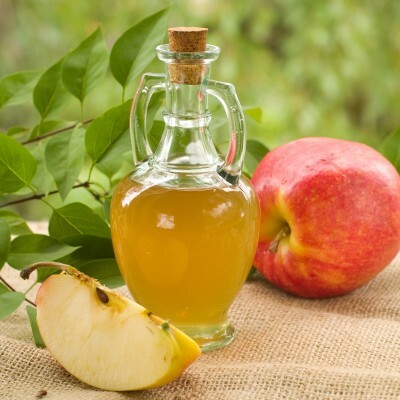 Most of you have probably heard about Apple Cider Vinegar (ACV), however, did you know that it has been used for many hundreds, if not thousands of years. In fact, Hippocrates ( the father of medicine) used AVC back in around 400 B.C. for its health giving qualities. Even today, many use it as a common household remedy. More and more people are becoming attuned to its amazing health benefits. When purchasing ACV, always ensure that the product has sediment floating around in it; this ensures that it has not been distilled or treated, which, by this process, removes many of the beneficial nutrients form it – don’t be fooled by the clear imitation; they have little to know benefit for you. If you can find an organic product, even better! This ensures quality, without the added chemicals or preservatives. Kyla and I recommend Bragg; they offer a great product which is available organically and also available in glass for those of you that are concerned about estrogen mimickers in plastics. If you can’t locate this product, there are several other comparable products being sold at your local health food store. If your suffering from “heartburn” you may add a few teaspoons to a glass of water to alleviate the symptoms. This is a much better alternative to some of the over-the-counter medication on the market today. Body Odour: Apple Cider Vinegar is an effective body odour remedy, since it can help adjust the skin’s pH level which helps to eliminate odor-causing bacteria. For armpit odour, simply wipe them once each morning with undiluted apple cider vinegar (using a cotton ball). For foot odour, fill a pan with warm water and add 1/3 cup of ACV, then let your feet soak in this mixture for 15 minutes once per week. Tagged acne, apple cider vinegar, cholesterol, detox, digestion. Bookmark the permalink.